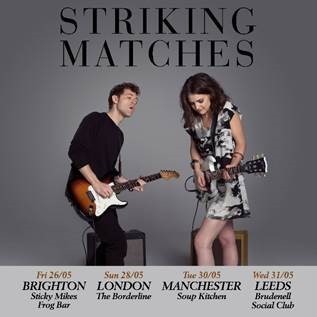 UK live favorites Striking Matches have announced an intimate acoustic tour for May 2017. With their T Bone Burnett-produced debut album, guitar-wielding duo Striking Matches creates an unexpected and unique sound that defies easy categorization. The music of Striking Matches—Sarah Zimmermann and Justin Davis–occupies that sweet spot at the intersection of country, rock and blues, where all of the elements blend to form an authentically raw and rootsy sound that has a timeless and international appeal. Indeed, nine of their songs including “When the Right One Comes Along” and “Hanging on a Lie” have been featured on ABC’s hit drama series Nashville and recorded by the show’s stars Sam Palladio and Clare Bowen, and attracted an international fan base. Striking Matches is currently preparing their sophomore album due out Summer 2017 on Capitol Records. Keep up with all the latest Striking Matches news by visiting their website, visiting their Facebook page, and following them on Twitter. 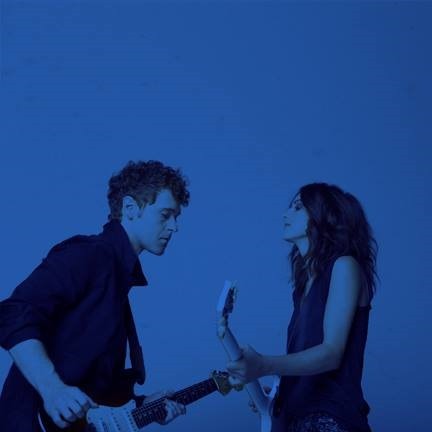 @strikingmatches. Listen to Spotify, where you will find a lot of Striking Matches music, including my favorite, “When The Right One Comes Along”.